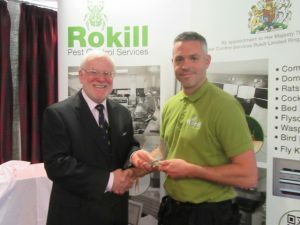 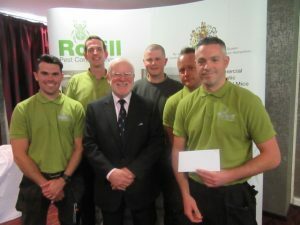 Rokill Pest Control held its annual service meeting with all staff attending a highly motivational meeting at the Hallmark Hotel in Bournemouth. 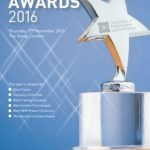 The meeting is a challenge to organise, with the whole company attending but it is always worth the investment of time. 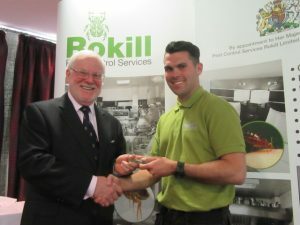 We were honoured that Jason Pacey of Marks & Spencer was able to attend as our keynote speaker for the day. 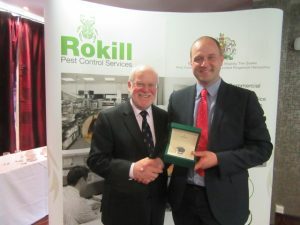 Jason talked about the importance of Pest Control in the retail environment and the expectations of Marks & Spencer. 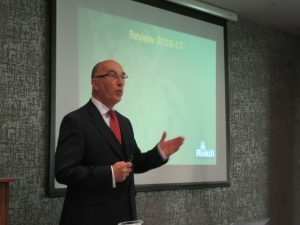 The talk was very well received by all who were present. 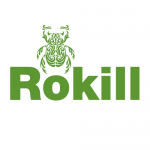 More information about our pest control services. 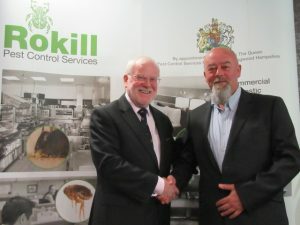 Brian Duffin Chief Technical Office for Rokill receives his long service award for 25 years from Rokill Pest Control Managing Director Alec McQuin. 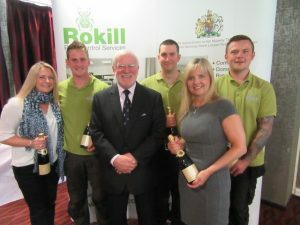 His ongoing contribution to Rokill is immense – Thank you Brian! 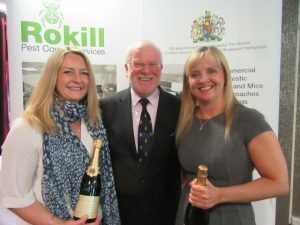 Rokill service control manager Jane Ring(right) and Victoria Wright were awarded champagne for their exceptional contributions during the year. 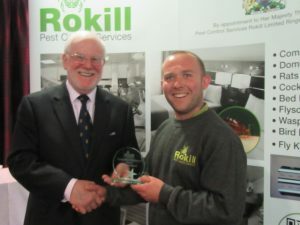 Rokill Pest Control director Chris Turner’s presentation reviewed 2016-17 and highlighted the major achievements during the year. 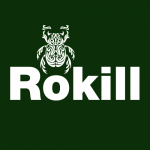 Significant growth was achieved and many new clients have chosen to work with Rokill.